Once upon a time... there lived an unhappy young girl. Unhappy she was, for her mother was dead, her father had married another woman, a widow with two daughters, and her stepmother didn't like her one little bit. All the nice things, kind thoughts and loving touches were for her own daughters. And not just the kind thoughts and love, but also dresses, shoes, shawls, delicious food, comfy beds, as well as every home comfort. "Miaow", which really meant, "Cheer up! You have something neither of your stepsisters have and that is beauty." "You? My dear girl, you're staying at home to wash the dishes, scrub the floors and turn down the beds for your stepsisters. They will come home tired and very sleepy." Cinderella sighed at the cat. "Oh dear, I'm so unhappy!" and the cat murmured "Miaow". "Don't be alarmed, Cinderella," said the fairy. "The wind blew me your sighs. I know you would love to go to the ball. And so you shall!" "How can I, dressed in rags?" Cinderella replied. "The servants will turn me away!" The fairy smiled. With a flick of her magic wand... Cinderella found herself wearing the most beautiful dress, the loveliest ever seen in the realm. "Now that we have settled the matter of the dress," said the fairy, "we'll need to get you a coach. A real lady would never go to a ball on foot!" "Quick! Get me a pumpkin!" she ordered. "Oh of course," said Cinderella, rushing away. Then the fairy turned to the cat. "You, bring me seven mice!" "Seven mice!" said the cat. "I didn't know fairies ate mice too!" "They're not for eating, silly! Do as you are told!... and, remember they must be alive!" "Good!" exclaimed the fairy. With a flick of her magic wand... wonder of wonders! The pumpkin turned into a sparkling coach and the mice became six white horses, while the seventh mouse turned into a coachman, in a smart uniform and carrying a whip. Cinderella could hardly believe her eyes. "Who can that be?" people asked each other. The two stepsisters also wondered who the newcomer was, for never in a month of Sundays, would they ever have guessed that the beautiful girl was really poor Cinderella who talked to the cat! "What does it matter who I am! You will never see me again anyway." "Oh, but I shall, I'm quite certain!" he replied. Cinderella had a wonderful time at the ball... But, all of a sudden, she heard the sound of a clock: the first stroke of midnight! She remembered what the fairy had said, and without a word of goodbye she slipped from the Prince's arms and ran down the steps. As she ran she lost one of her slippers, but not for a moment did she dream of stopping to pick it up! If the last stroke of midnight were to sound... oh... what a disaster that would be! Out she fled and vanished into the night. "Go and search everywhere for the girl whose foot this slipper fits. I will never be content until I find her!" So the ministers tried the slipper on the foot of all the girls... and on Cinderella's foot as well... Surprise! The slipper fitted perfectly. 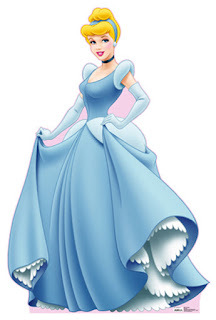 "That awful untidy girl simply cannot have been at the ball," snapped the stepmother. "Tell the Prince he ought to marry one of my two daughters! 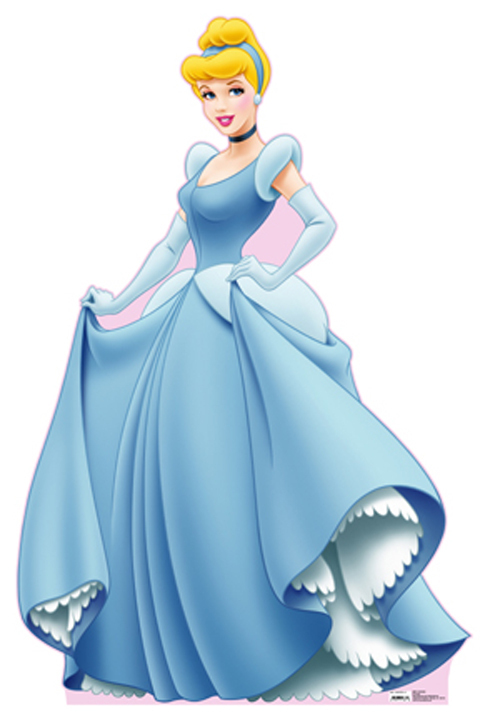 Can't you see how ugly Cinderella is! Can't you see?" "Come with us, fair maiden! The Prince awaits to present you with his engagement ring!" So Cinderella joyfully went with them, and lived happily ever after with her Prince. And as for the cat, he just said "Miaow"!